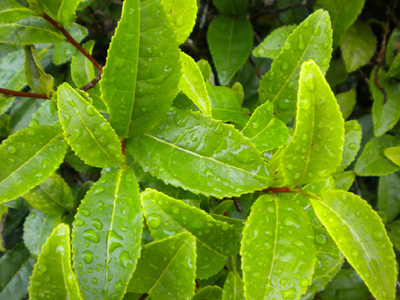 Do you want to drink authentic loose-leaf green tea but are worried about caffeine? Well, you need not worry at all, because green tea caffeine is a whole different ballgame than coffee. Green tea not only has much less caffeine than coffee — about 70 percent less — but it is absorbed more slowly and metabolized more slowly, too. This means that when the caffeine does kick in, you get a gentle lift, instead of a coffee-like jolt. It also means a gentle landing when the caffeine wears off, instead of a coffee-like crash. This is yet another reason why green tea is such a mellow beverage, and why it can be your oasis of calm in an otherwise busy, hectic day. There's a lot of goodness in these leaves — but not too much caffeine.